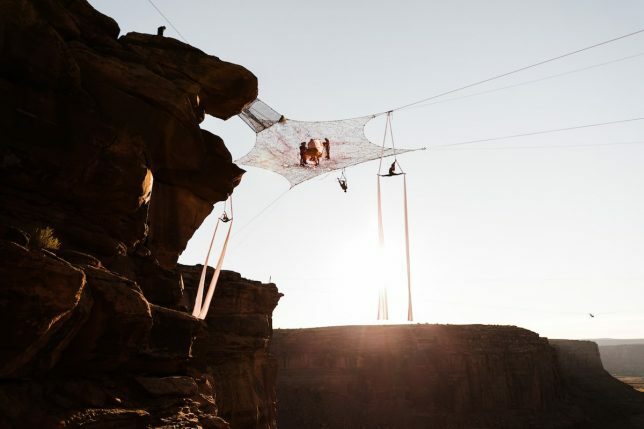 There wasn’t much room for cold feet in this high-flying marriage ceremony, vows for which were exchanged over a gaping void (complete with BASE-jumping flower girls). 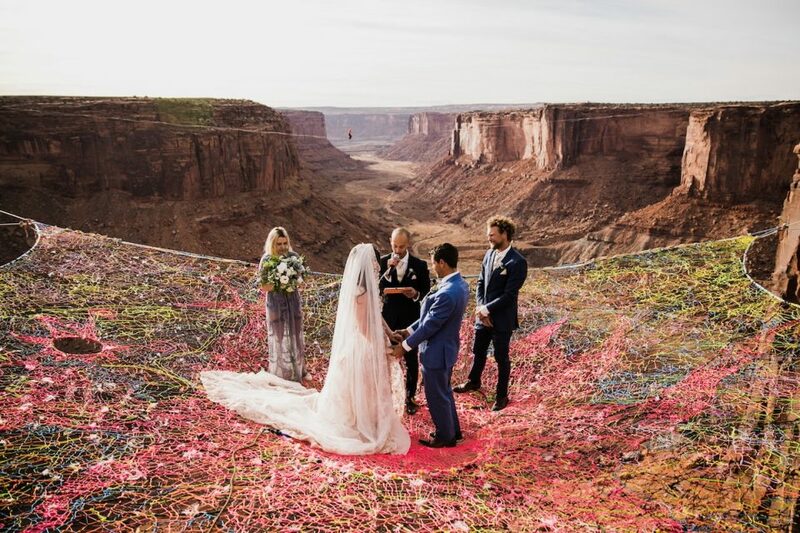 Ryan Jenks and Kimberly Weglin were first engaged on a similar space net in the same place, then decided to keep up the tradition with the wedding. 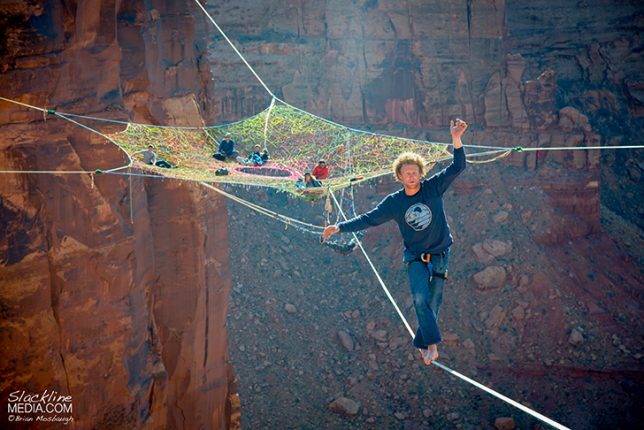 The brave pair also invited photographers Abbi and Callen Hearnes to document the event in a series of stunning photographs. 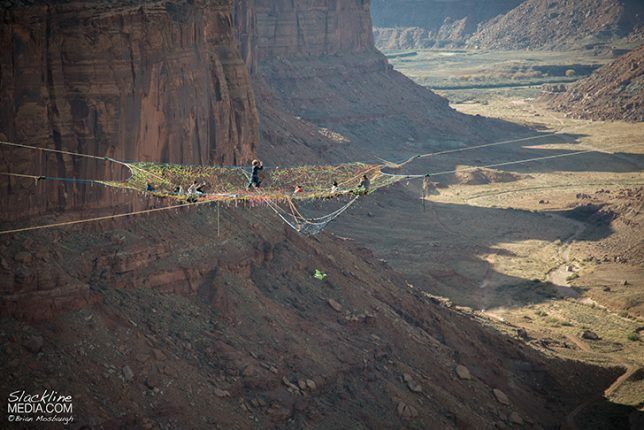 As the ceremony unfolded, friends of the couple performed aerial moves and walked across high lines. 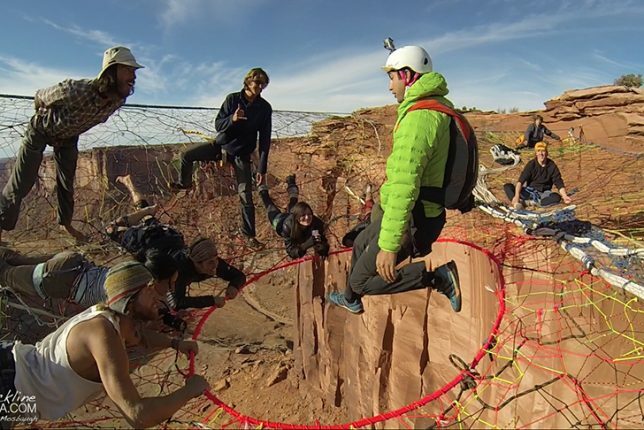 Flower girls packed thousands of pedestals into backpacks (alongside parachutes) before jumping off surrounding cliffs. 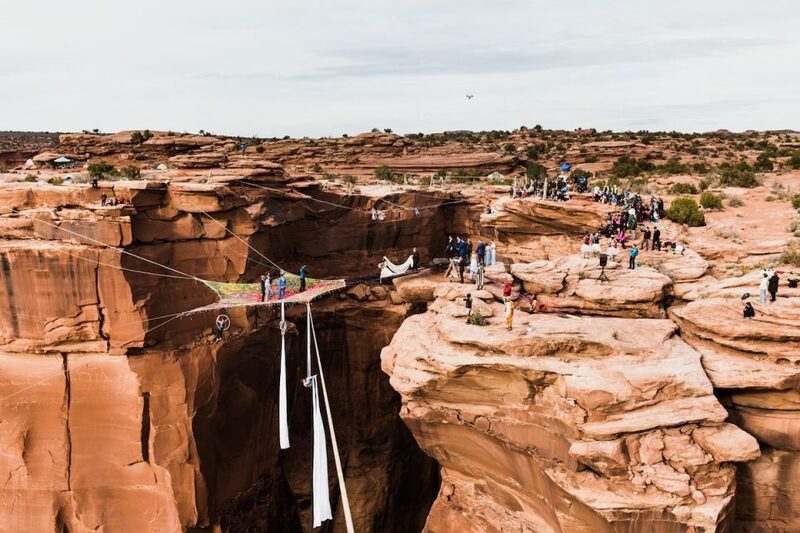 Every year, a group of athletes and filmmakers called the Moab Monkeys come to the site to create a huge hand-knitted hammock to hang out in before taking their own brave leaps into the void. 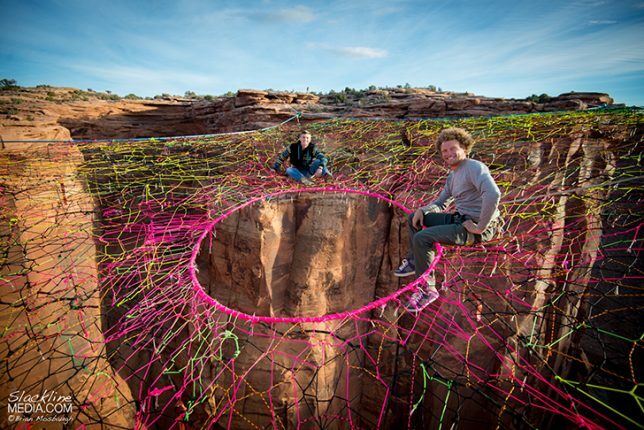 Their creations involve thousands of feet of colorful cordage, often designed to hope a dozen people or so and extending hundreds of feet over the canyon (with a hole in the middle for those looking to hop off and pop their chute, Brian Mosbaugh of Slacklinemedia). 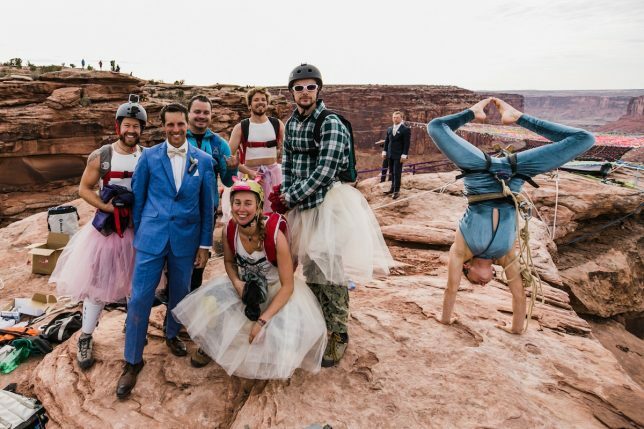 Also, be sure to check out more extreme wedding photos from The Hearnes duo, who have shot in a lot of exotic locations.